This is such a great quote by the ancient Chinese Philosopher and writer, Laozi (also known as Lao-Tzu which is translated as "Old Master". It is a very important quote for us to always remember because often times we feel like we don't know where to begin whenever we try to pursue a goal in life. This quote reminds us that even the biggest goals, involve a small initial step, which we all have the ability to do. 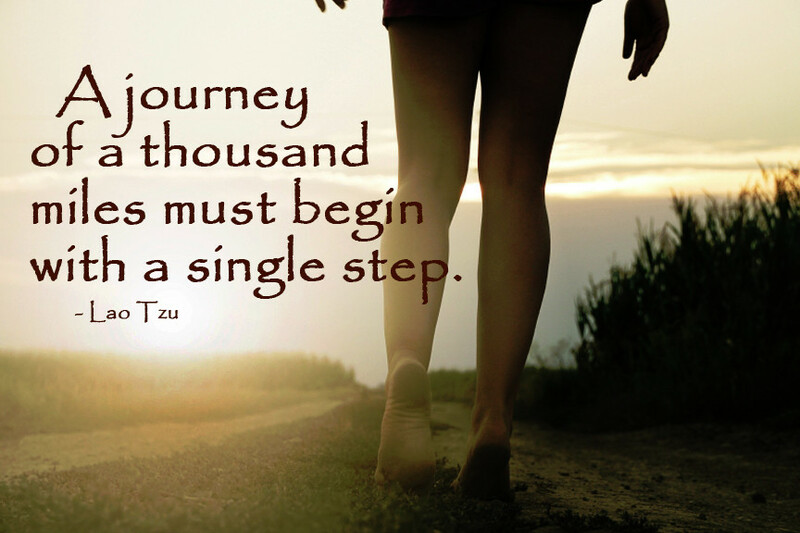 So what ever your journey in life you want to pursue, take that first step!